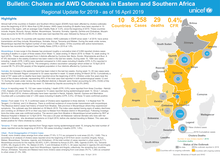 UNICEF continues to support the functioning of numerous water systems in affected areas providing safe drinking water to 776,603 people, 82 per cent of the cluster total target. 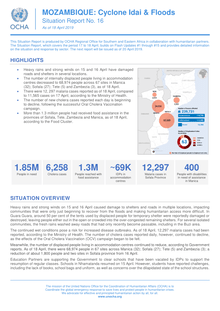 UNICEF supports the operational deployment of mobile brigades which enabled more than 8,000 live-saving consultations to children under-five. 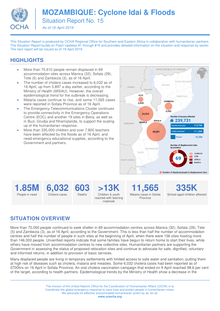 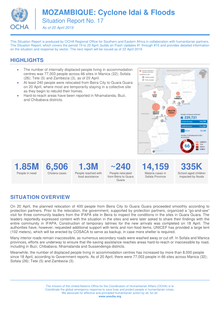 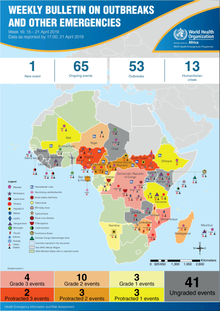 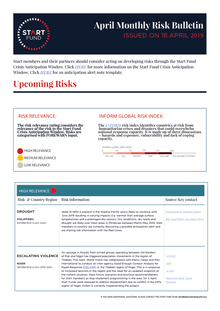 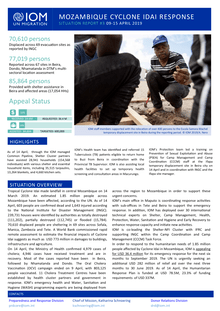 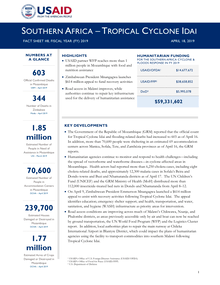 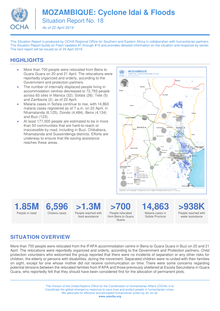 To date, 1,615 humanitarians are registered to access Emergency Telecommunications Cluster (ETC) Internet connectivity to enable them to do their work. 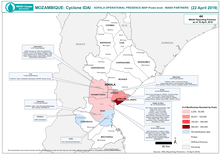 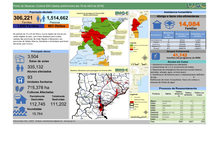 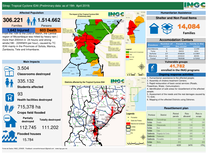 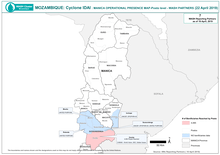 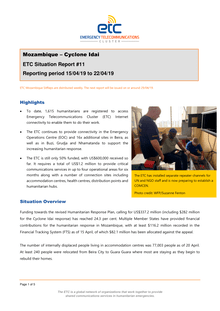 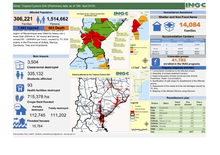 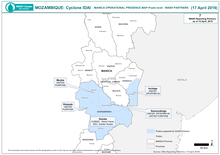 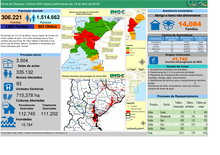 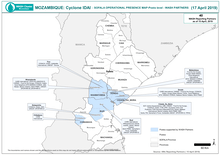 The ETC continues to provide connectivity in the Emergency Operations Centre (EOC) and 16x additional sites in Beira, as well as in Buzi, Grudja and Nhamatanda to support the increasing humanitarian response.